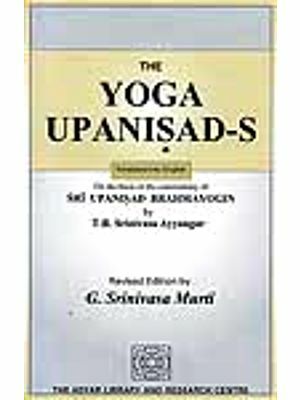 Aitareya Upanisad is the second volume of Shri Anirvan Upanisad Series. It is the English translation of the Bangla edition of Upanisad Prasanga Series published by the Burdwan University in 1969. Talks on Upanisads were delivered by Shri Anirvan in Calcutta in 1956-57. Shri Anirvan prepared its manuscript in Bangla with the help of transcription taken at the talks. Aitareya Upanisad belongs to Rgveda. Aitareya Brahmana is one of the Brahmana of Rgveda and Aitareya Aranyaka is at the end of the Brahmana. It has five Aranyakas, The last four chapters of the second Aranyaka is Aitareya Upanisad. 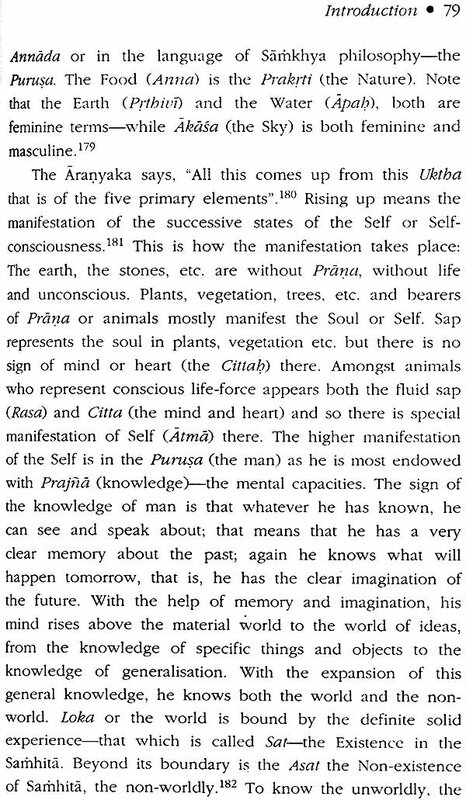 Therefore, the relation between Aranyakas and Upanisad is very close. Shri Anirvan had discussed and interpreted Aitareya Upanisad in the light of Aitareya Aranyaka. In his insightful introduction, he has also di cussed all the relevant subjects contained in the Aranyaka in detail. 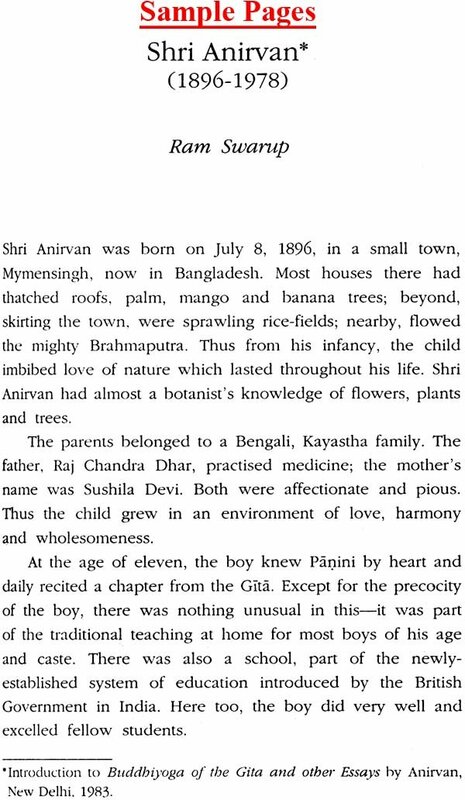 Shri Anirvan was born on July 8, 1896, in the town of Mymensingh (now in Bangladesh). At the age of eleven he knew the Astadhyayi of Panini by heart and daily recited a chapter from the Gita. He went for his college studies to Dhaka and later on to Calcutta. After completing his studies, Sri Anirvan took Sanyasa and became Nirvanananda Saraswati. But a few years later he dropped the ochre robes and changed his name to Anirvan, by which name he became known to the world at large. Between 1930 and 1942, he lived with a friend at Allahabad, Lucknow, Delhi and Ranchi. Later on, he moved to Lohaghat in Almora where Madame Lizelle Reymond, a Swiss lady, spiritual seeker joined him and literally took him to the West through her books. Shri Anirvan moved to Shillong in Assam and finally to Calcutta in 1965. He fell ill in July 1971 and passed away on 31 May, 1978, at the age of 82. 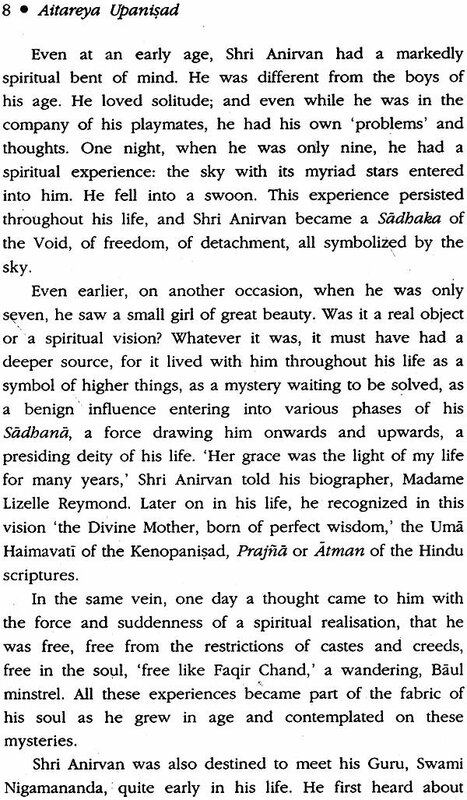 His first book was a Bengali translation of Sri Aurobindo's The life Divine which was published in 2 vols. during 1948-51. But the centre of his studies was the Vedas on which subject he acquired a rare mastery over the years. Hi great work, Veda Mimamsa, was published in 3 Vols. in 1961, 1965 and 1970. 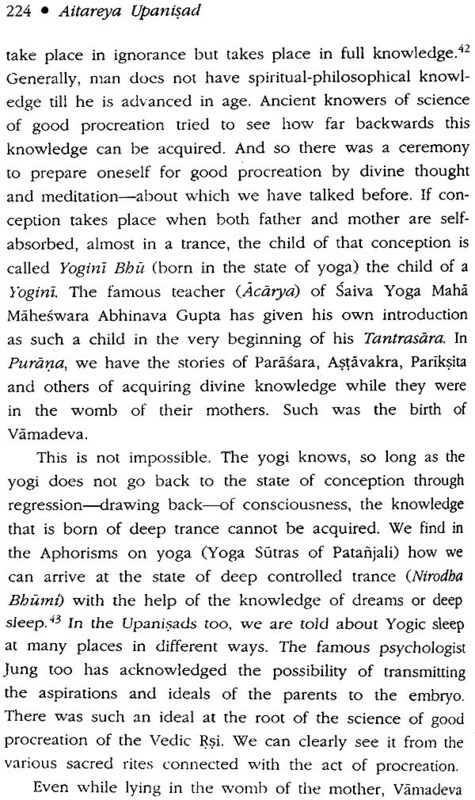 Meanwhile, several other work on the Upanishad, the Gita, Vedanta and Yoga had also been published. 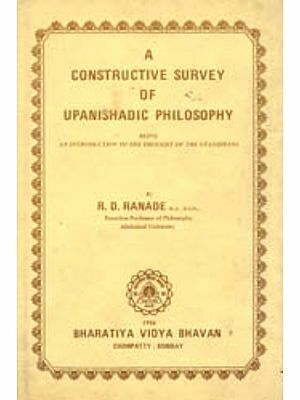 Aitareya Upanisad belongs to Rgveda, Aitareya Brahmana is one of the Brahmanas of Rgveda. Aitareya Aranyaka is at the rd of the Brahmana. It has five Aranyaka. 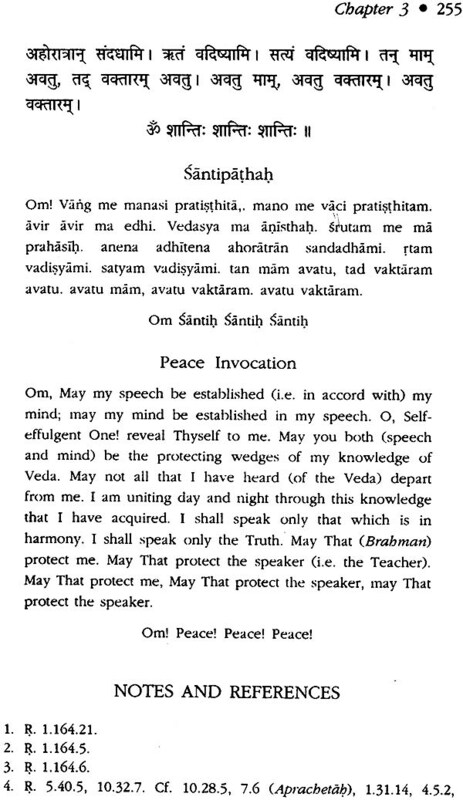 The last four chapters of the second Aranyakais Aitareya Upanisad, The it chapter is considered as the 'Santi Patha'-Peace Invotion--of this Upanisad. 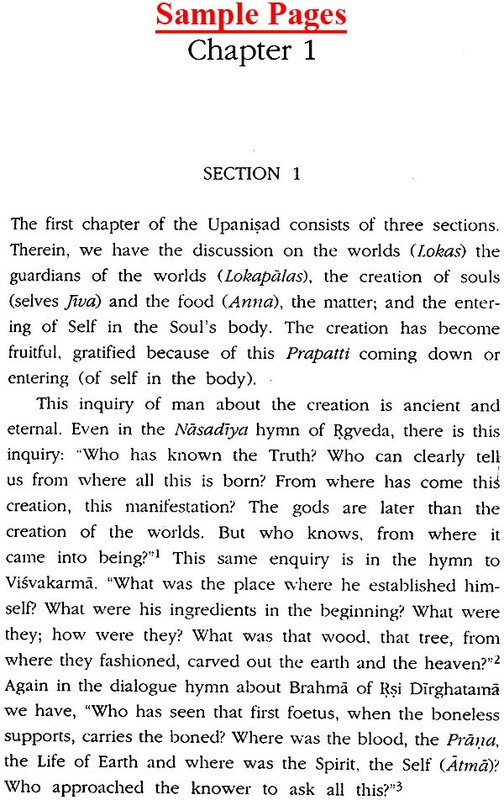 Thus there are only three chapters at discuss the ontological knowledge of the Upanisad. The it chapter is both its beginning and the end. Rsi Mahidasa Aitareya is the author of Aitareya Brahmana. He was called Aitareya because of his mother's name 'Itara '. Mahidasa is a well-known Rsi of the Vedic age. HE is mentioned profusely in Aitareya Aranyaka, Chandogya Upanisad and jaiminiya Upanisad Brahmana. We can see at he was a great Rsi, the propounder of a sect, from the :t that the Aranyaka he authored was named after him. The meaning of his name Mahidasa is not very clear. 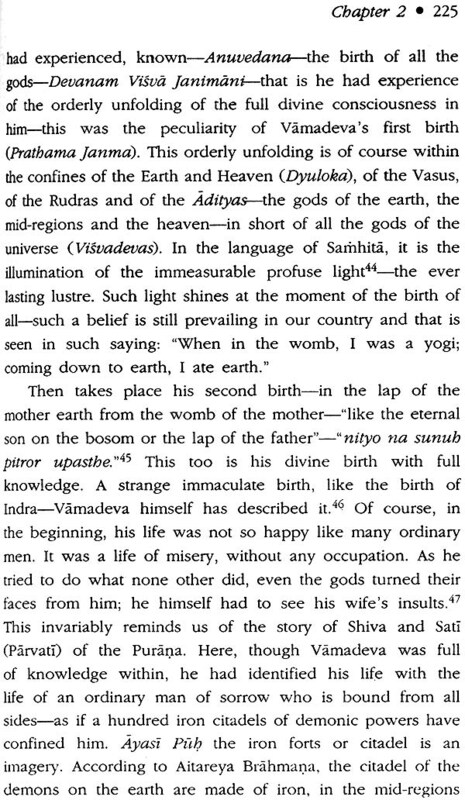 Sayana, the great commentator of Vedas, in the Introduction his commentary of Aitareya Brahmana, gives us a story out his childhood. The story is much like the story of Dhruva. 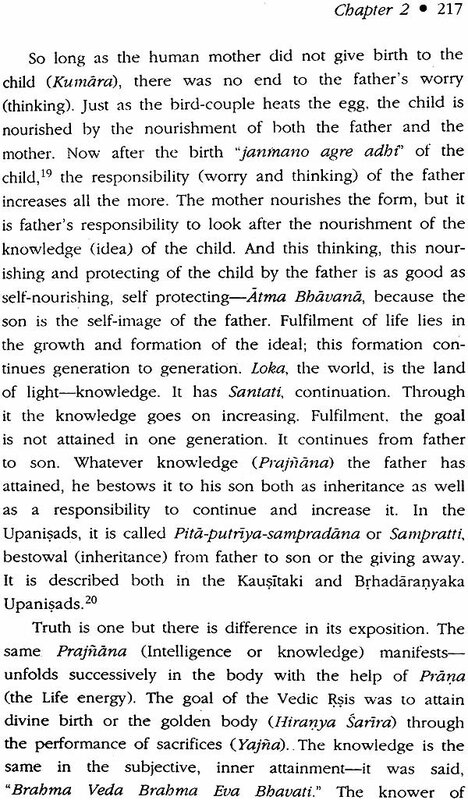 The family deity of Mahidasa's mother was Earth 'Bhumi or Prthivi). Mahidasa was ignored by his father. pleased by the prayers of his mother, the deity Bhumi graed Mahidasa with divine knowledge that enabled him author a Brahmana and an Arayanka. The story indites that the meaning of Mahidasa is 'Bbumi-dasa', In the Vedic literature. 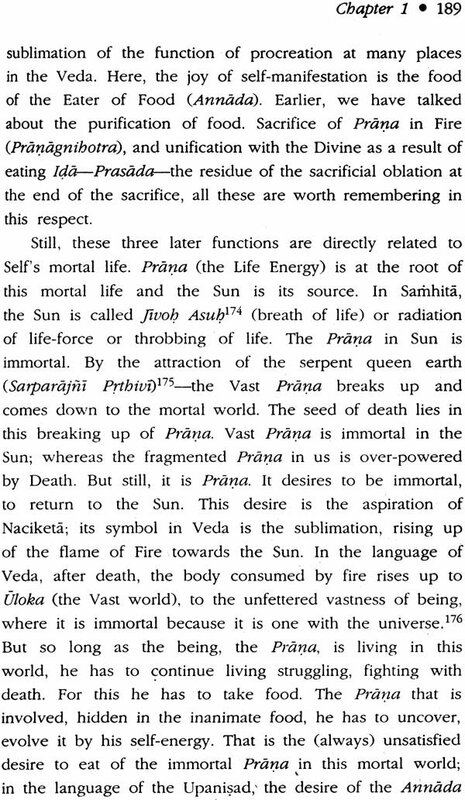 there is only one such name 'Divodasa ', an ancient king mentioned in Rk Samhita. 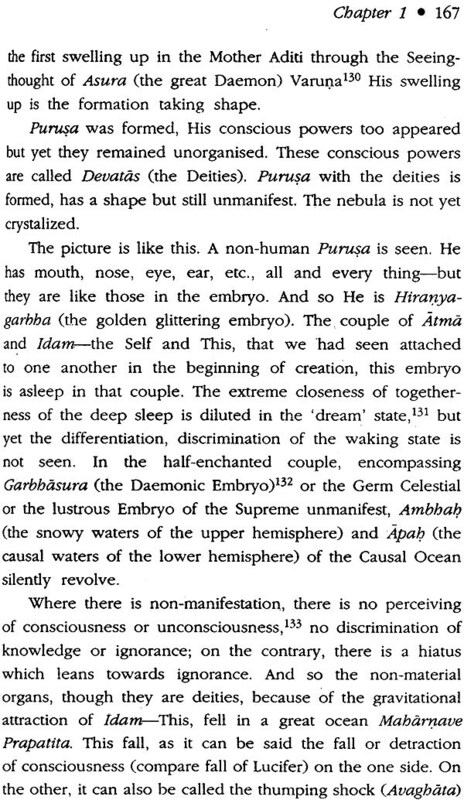 The Heaven and Earth (Dyaua-Prthiul) are the first Father-Mother in the Vedic Dharma. In that view, both the names seem to be appositional. Here, we are reminded of the name of the Rsi of the only hymn about the Earth (Prthivi Sukta)" in Rgveda, the Rsi 'Bhauma ' Atri, the son of Bhumi. It is a small hymn of only three Riks. It can be considered as the seed of the larger famous Prthivi Sukta of Saunaka Samhita, where Rsi loudly proclaims "Mala Bhumi, Putro'ham Prthivyah" (Bhumi (land) is my mother and I am the son of the Earth). These facts can be considered parallel to the relation of Mahidasa with the Earth. But though there is similarity of meaning in Rk Samhita, the two words "Mahi' and "Mahi' are different because of the difference in the vowel-the first word is Adi-Udatta, i.e. the first vowel is acutely accented, while the second word is Antyodatta, i.e. the last vowel is acutely accented. In Nighantu, Mabi is included in the names of Earth. In Samhita, the word Mahi is both an attributive adjective and an attributed noun. It means 'great' larger and 'greatness, glory, majesty, might, power', etc. 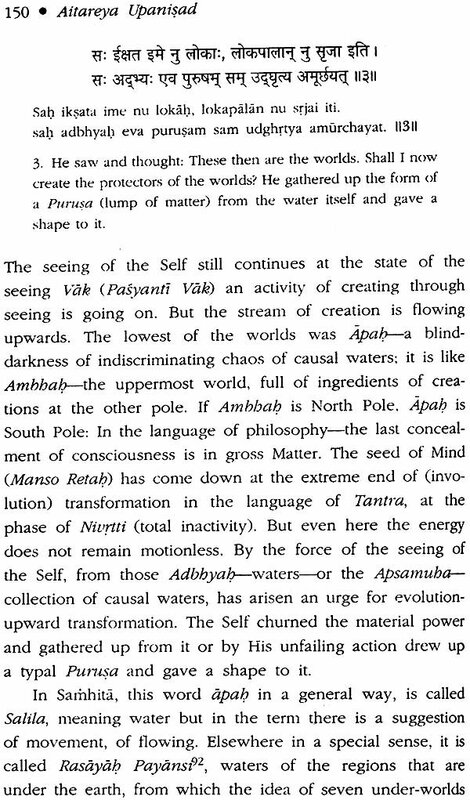 In Rk Samhita, the great harmony and the vast light (' Rtam mabat' and "Svara brbat') are the universally accepted technical terms for the highest reality, for the Supreme Truth'? 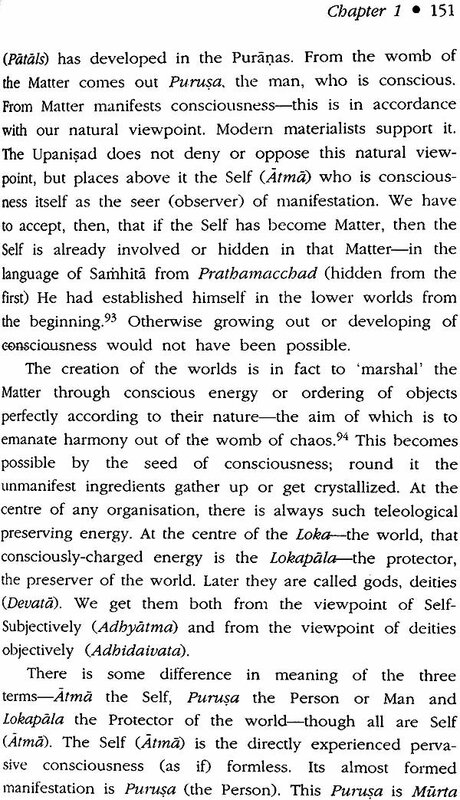 The meaning of Mahi connected with the word "Mahima (greatness, etc.) is very clear. 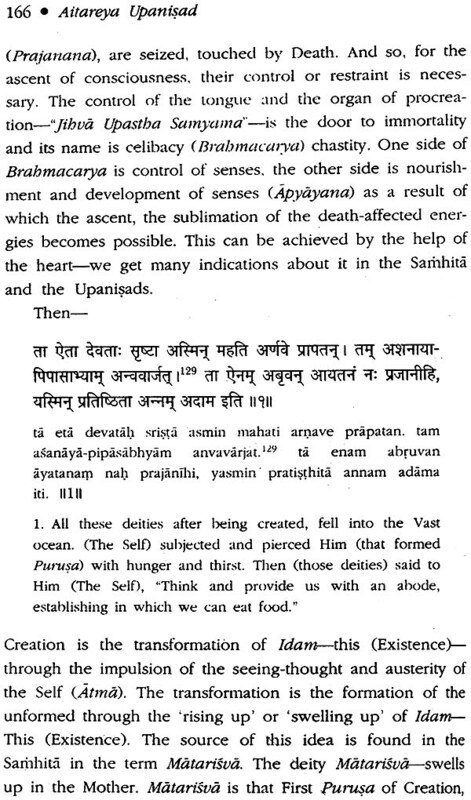 The greatness or supremacy of 'Brahma or 'Atma' is described in many ways in the Upanisads." It seems that the term Mahi in the name of 'Mahidasa' alludes to this supreme greatness. In this respect, the meaning of the names 'Divodasa ' and 'Mahidasa' is one and the same, both are connected with the divine greatness. 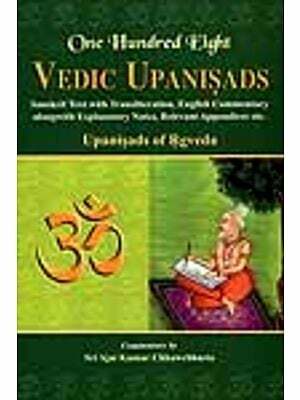 Upanisads are also called 'Vedanta ', which means the end of Vedas. End means the last portion or the last exegesis. 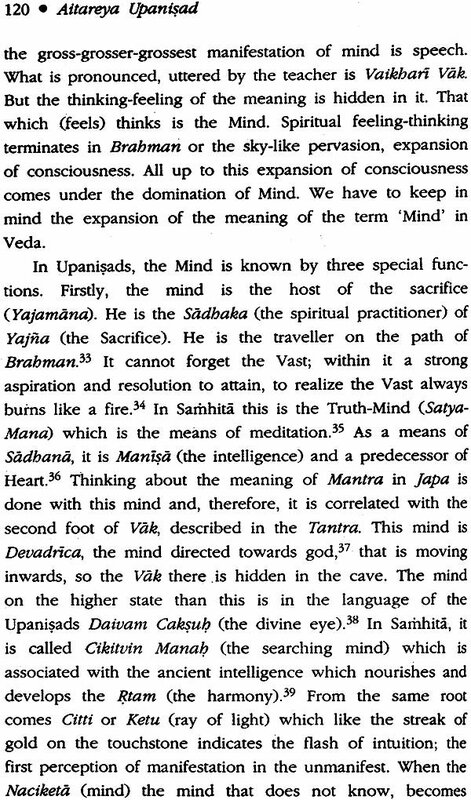 Upanisads are called Vedanta in both these senses. Mantra and Brahmana together are called Vedas. The Mantras i.e. 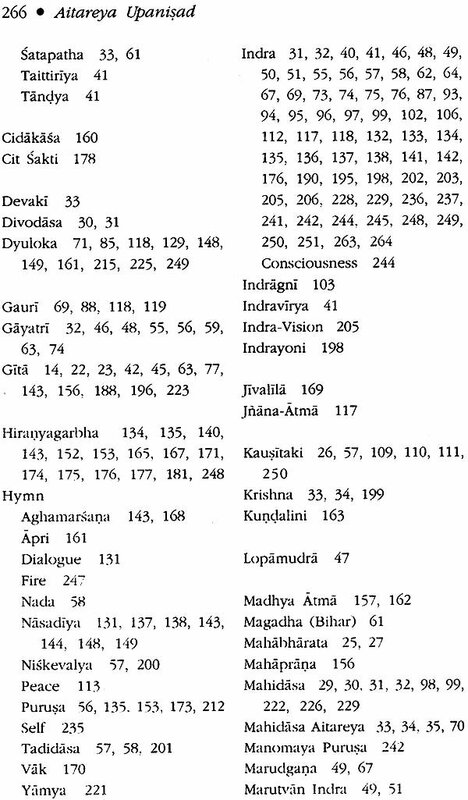 the Samhita portion is the oldest part and the original base of the Vedas. The spiritual experiences of the Rsis and the secrets of their Sadhana have been elaborated in the Brahmanas. 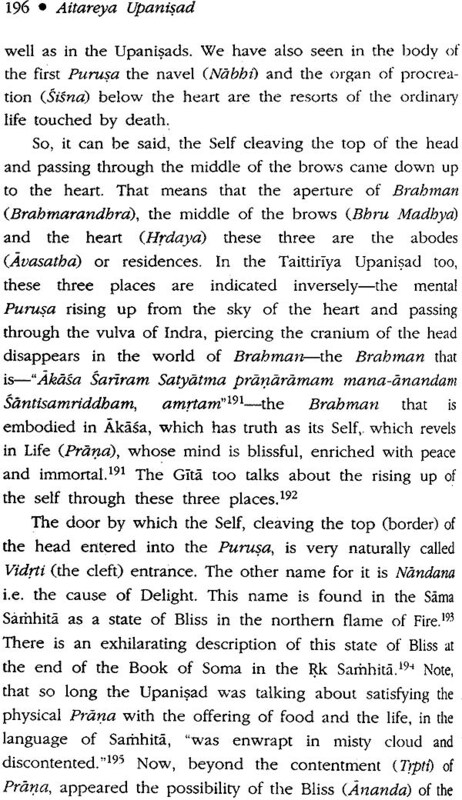 Brahmanas consist of three parts- Brahmana, Aranyaka and Upanisad. There is a continuity amongst these three parts. They are so much intermixed- one with the other-that at times it is difficult to ascertain (indicate) where one ends and the other begins. It proves that .the whole of the Veda is a vehicle of an integral and whole Idea. or Ideal and one part of it is not a protest or a negation of the other. The experience that is intuitive in the Mantra portion is elucidated rationally or intelligently in the Upanisads. In this way, Upanisads are truly the Vedanta, both as the last portion of the Vedas as well as the final or last exegesis of the Vedas. 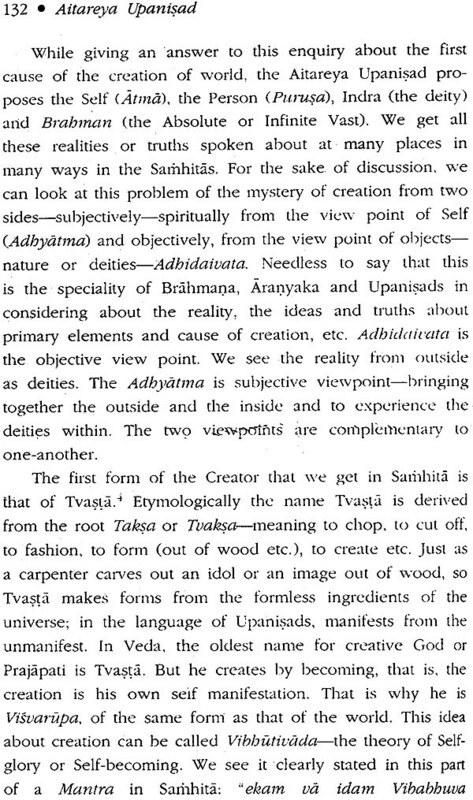 Just as Vedanta is the end or final exegesis of Vedism (Vedavada), so is ‘Siddhanta' the final elucidation of the experiences of the Siddhas. Propounders of Vedanta were 'Rsis', that of Siddhanta were 'Munis'. We find in Gita, "Foremost amongst the Siddhas is Kapil Muni".l The Sankhya propounded by Kapil is one of the oldest Indian philosophies-it is 'Muni-dhara' -the Muni tradition or Tarea Prasthan-the way of the Rationalist. 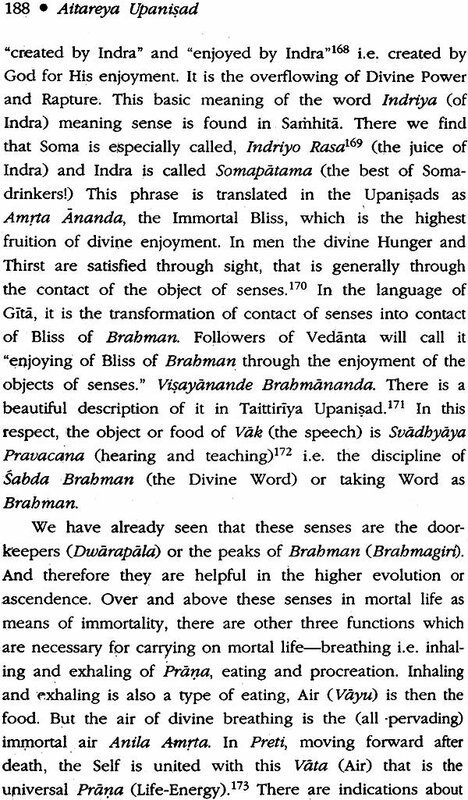 Vedanta on the other hand is Rsi-dhara's-the Rsi tradition or Mimamsa Prasthan-the way of the exegetists. In one Sadhana, one looks within or is introvert, whereas the other looks out- wards or is extrovert. The Muni dives within and sees himself as the Atman; the Rsi keeps his eyes wide open and sees gods or Brahman everywhere. It is this Rsi again who proclaims loudly, "The Purusa there and there, He am I"; "The Purusa who is in me and the Purusa who is in that Sun, the Two are One indeed. In this way beginning their pilgrimage from two different viewpoints or different angles, the Vedanta and the Siddhanta both merge in one Integral Realisation of the Supreme Truth. We see in the older Upanisads these broad and vast flashes of Truth like the Sun shining in the blue skies. Rgveda has two Brahmanas-Aitareya and Samkhyayana. The two Brahmanas have two Upanisads-e-Aitareya and Kausitaki. Like other old Upanisads, these two• Upanisads are not at the end of the AraI).yakas In both the cases, Aranyaka portion continues even after the Upanisads end. 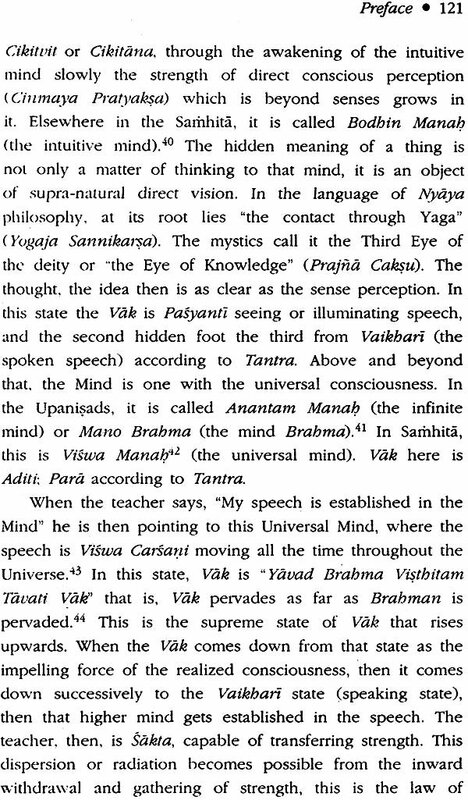 Though the narration of the works of the priests is different in Brahmanas according to the necessity of the three Vedas, in Upanisads we get the same object and idea developed. That is to say, though the works and thoughts behind them are different in the case of Hota.' Udgata": and Adhvaryu priests, all of them end in one and the same knowledge. 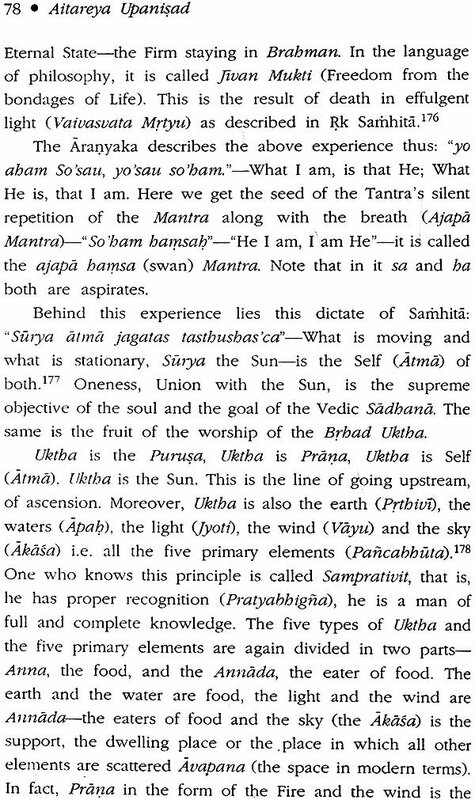 This is the knowledge of oneness of Atma (the Self) and Brahman (the infinite vast) which has been presented in different Upanisads as Adesa (command) or as Maha Vakyas, principal or great sentences or formulas like "ayam atma brabma'. This Self is Brahman-" tat tvam asi' Thou art That etc. Upanisad. 3 The direct experience of Brahman through conscious senses in the form of the smell of Brahman, taste of Brahman, lustre and splendour of Brahman and the fame of Brahman is nowhere to be found. We find the idea supported and developed only in the tradition of Bhagauata, and also in epics and Puranas. 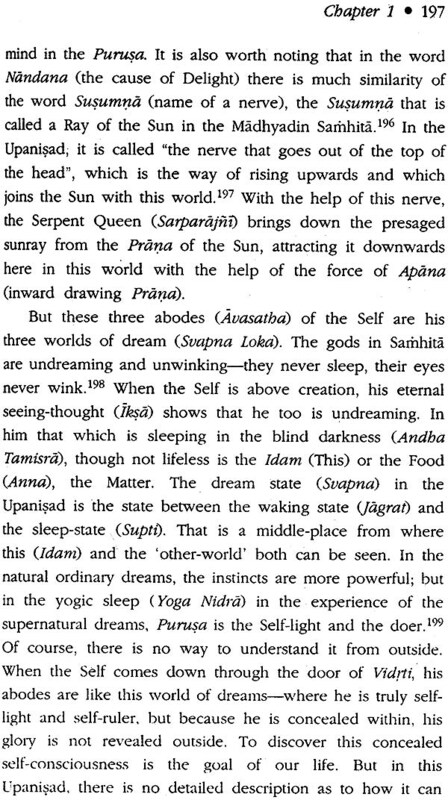 This direct conscious vision and experience of Brahman, of the Divine, is in fact at the root of the Vedic philosophy and its attainment, realization lies in the acceptance and nourishment of the senses and the Prana and not their rejection or suppression Looking from all these aspects we can say that the Kausitaki Upanisad is nearest to the ancient Vedic ideal. The construction of Kausitaki is quite loose, not so compact as that of Aitareya. In the variety and arrangement of subjects, it is like Aranyaka, the ideas of knowledge and works are inseparably mixed up in it. 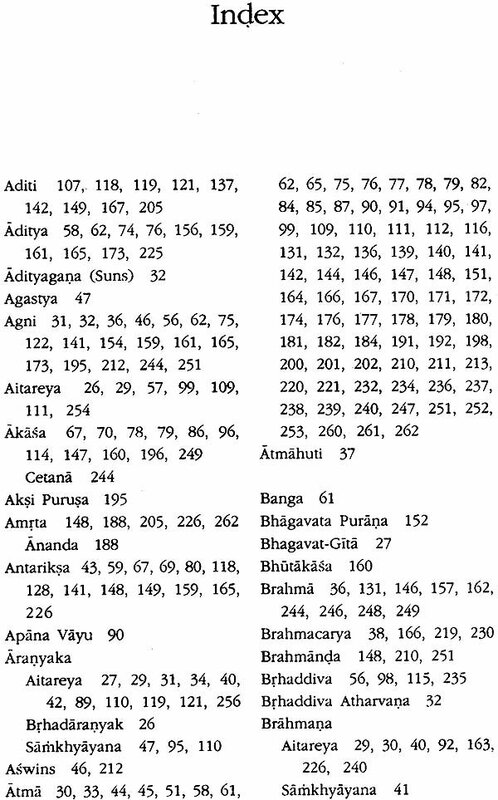 This is the internal proof of the antiqueness of the Kausitaki, even though the modern scholars from the viewpoint of language consider Aitareya as oldest amongst the Upanisads.